A section of Christians in Mizoram are apprehensive of the Measles Rubella Vaccination as they fear that the vaccine would ‘mark’ their children and would become agents of the Biblical 666, the number of the ‘beast’. 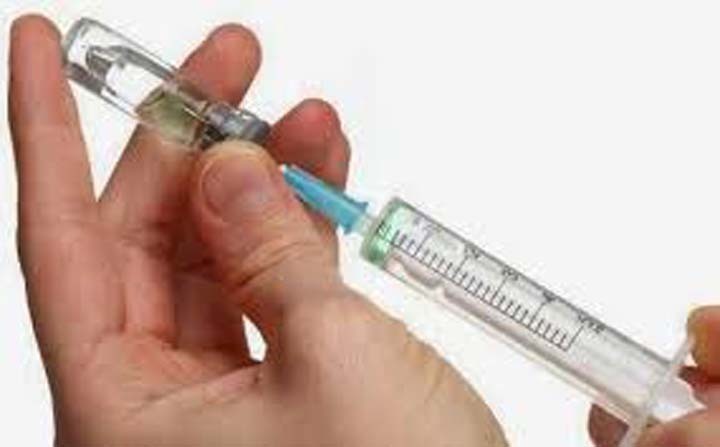 Measles Rubella Vaccination programme has kicked-off in the capital Aizawl and other districts of Mizoram, there are reports across the state that certain sections of the people, who are against UID are gripped by fear that this World Health Organisation programme would lead them to becoming the agents of 666. Earlier, a group called Mizos Against Biometric Enrolment has issued a warning to the people saying that the vaccination programme itself was an agent of the impending 666, the number of the beast, which is featured in the holy ‘Bible’. The State government and officials have stated that the vaccination should be taken as safety measures by all children and that it has nothing to do with the Biblical number of the beasts, but then it seems impossible to talk this section of Mizos out from their fears. Reports from western district of Mamit said several parents would not have their children vaccinated due to the fear of the 666. This section believed that Aadhaar or the UID enrolment process, with finger print and iris scan data, is similar to the warning issued in the Book of Revelation. “Various interpretations of the book note that the ‘beast’ is symbolic of modern day political power. The Book, at Chapter 13, warns that anyone who receives such a number will face dire consequences,” they said. Like UID, they feared that this universal vaccination programme would lead them into the prophecy of eternal damnation. “Parents of more than twenty children from Nalzawl village near Mamit have decided not to take the vaccine, they linked the WHO programme with the 666,” said Mami Chawngthu, a journalist from Mamit. Nalzawl village housed several families who feared the Aadhaar enrolments and UID and of late, the village has become the concentration camp of families who feared the 666 prophecy, migrating from the nearby villages. The Mizos Against Biometric Enrolment feels that the ‘beast’ is neither the vaccination nor the Aadhaar, but stated that they are the agents of 666, “Those who enrolled and are marked will be an instrument of the impending beast, the 666,” they believed.